Frame-accurate conversations between creatives, managers and stakeholders. Get feedback on the right version, and easily go back to prior versions to check notes. Track content through feedback cycles, approvals and final video delivery. Best-in-class video encoding, browser-based video playback, and delivery of final video assets. Setup multiple teams and provision users, external agencies and freelancers. Work with our developers to integrate Wipster into your stack, including ingest, delivery and MAM. Keep up-to-date with review cycles in realtime with our browser, email and Slack notifications. 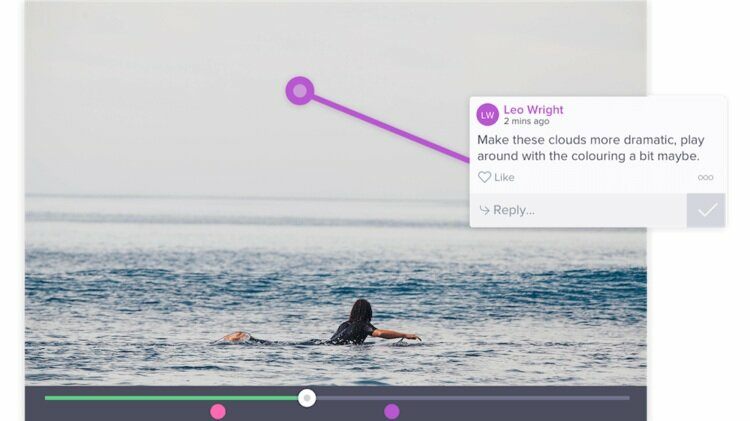 You can rely on Wipster’s secure video cloud to take care of your sensitive content. Upload video, multi-page PDFs, images and audio files to gather feedback. Learn how Time Inc reduced post-production costs. Learn how Shopify Studios streamlines their post-production workflow.